Most of my quilling projects during the past few years have been jewelry, but there have also been a few other fun things thrown in. Today I want to share with you a magnet that I made. Paper quilling makes such fun magnets! I like to use a solid quilled disc as a base, but you can also use a piece of wood, cardboard, matte board, etc. Anything that is sturdy enough! For this dove magnet I used a quilled base. It is a large circle made with several strips of paper glued together. For the dove I traced a small dove shape, put pins in the outline, and wrapped paper around the shape of the dove body. I filled it with quilled loose circles (pinched into whichever shape was handy for each spot). The wings I did separately, making one smaller to seem like it is on the far side. The whole magnet is about 1 1/2″ wide. Big enough to be noticeable on the fridge. Make sure to put a strong magnet on the back if you want to be able to use the magnet to hold things on the fridge (or other magnetic surface). If you just want it as decoration, just one of those adhesive magnets or magnet tape will work just fine. After you have made a paper quilled magnet, it is a good idea to give it a coat of sealant. You don’t have to, but since magnets are handled more often than fine art, it will definitely last longer if you give it some protection. Check out this page to see all the posts with tips and tricks about using sealants with paper quilling! Have you ever made any paper quilled magnets? 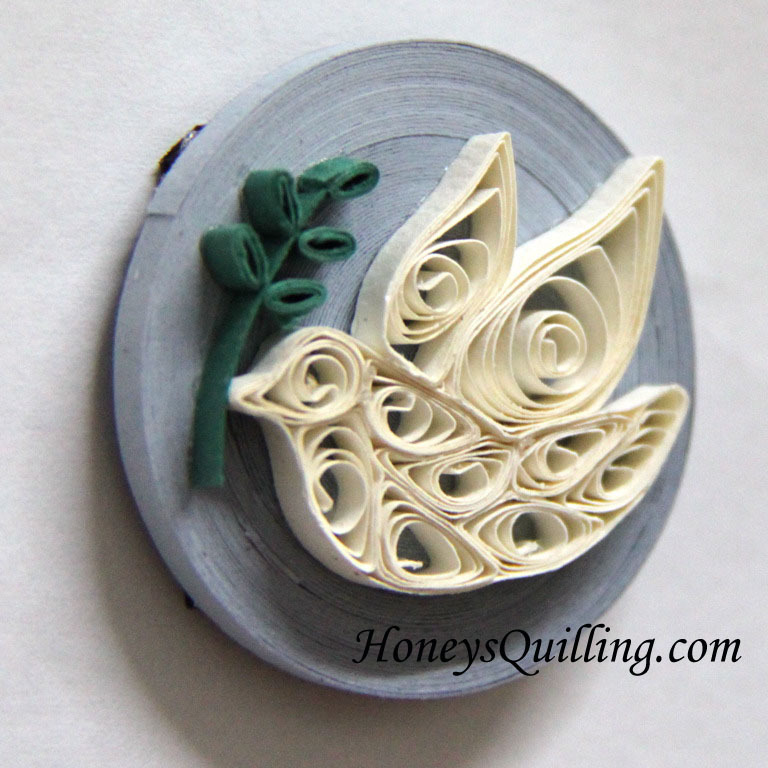 Click here to view paper quilling tips and tricks, organized by subject! 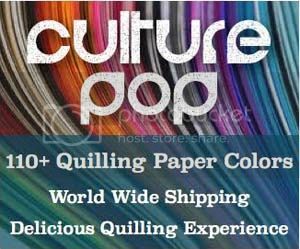 Click here to view places you can buy quilling supplies from, organized by country! *This post contains some affiliate links. If you make a purchase through the affiliate link I get a small percentage (at no extra cost to you!). I only link to products that I use and/or feel are great products. Thank you for supporting my blog! To date I’ve yet to quill anything, but I think you’ve turned the key with this lovely dove. Thank you so very much! 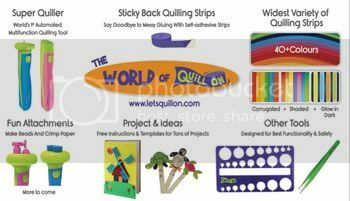 Thank you, I hope you have fun starting your quilling journey!